Former Energy minister Samuel Undenge yesterday said it was a mockery to arrest him for merely writing a letter for a voluntary work while there are "real criminals" who offered Vice-President Constantino Chiwenga's wife Marry, a multi-million-dollar travel agency contract without going to tender, have been left scot free. Undenge, who appeared before magistrate Hosea Mujaya, was put to his defence after his application for discharge was dismissed last week. The former Energy minister told the court that instead of arresting real criminals who stole $15 billion from Chiadzwa diamond fields, the Zimbabwe Anti-Corruption Commission (Zacc) is pursuing political enemies of the State. "The State witness Ray Ndhlukula told court that he wrote a letter awarding a multi-million-dollar contract of public funds to Marry Chiwenga without going to tender. The said company was not even registered, this is clearly corruption your worship and here we are talking of $12 000. It's a mockery to the public your worship," Undenge said. He told Mujaya that he was also a victim of Oscar Pambuka and Psychology Mazivisa fraudulent activities as he was made to write a letter while the two knew that they wanted to use it to defraud Zimbabwe Power Company (ZPC). He said when he wrote the letter he knew the ZimAsset campaign they were carrying was for free. Undenge further told court that he was not aware that ZPC paid Fruitful Communication company $12 650. He said he became aware after he was told they were demanding $36 000 from the publicity campaign they were carrying. "I did not know that ZPC paid $12 650 to Fruitful Communications. The only time I knew was when they demanded $36 000. I then phoned Josh Chifamba to stop the payment." "After stopping the payment, they come to my office and I chased them away. It's only that I was a minister, I could have assaulted them. I told them that they were criminals who want to defraud the ministry using my letter," Undenge further said. He also blamed Zacc for being used to settle political scores, saying he was initially a witness in the case, but was surprised when the investigation officers who were interviewing him went away for two hours before they came back with instructions to arrest him. "I received a letter from Job Wabhira asking me to be a witness in Pambuka and Mazivisa's fraud case. 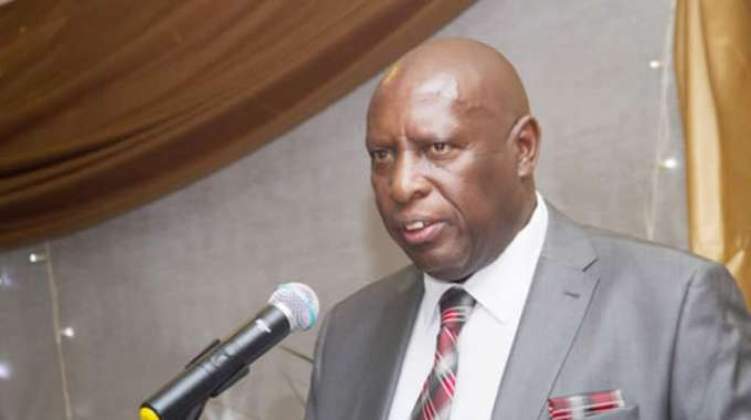 The letter clearly indicated that I was a witness, but was surprised when they turned against me and accused me of helping the two criminals to defraud the ZPC," Undenge said. When asked by his lawyer Alec Muchadehama if he had anything to tell the court which could help him in his defence, Undenge said he wished the court to make a fair decision, and not to be swayed by politically malicious allegations.